T. Boone Pickens flees from Q&A at Dem. Conv. about his "energy plan"
Plutonium Page has posted to Daily Kos a diary which helps to expose some important background information about T. Boone Pickens and his “plan” that supposedly will liberate us from foreign oil. Devilstower and I just went to a talk here at the DNC featuring T. Boone Pickens. Everyone was under the impression that the event would involve an actual discussion (as in, a Q & A session, like nearly all of the other Big Tent special topic sessions). We had a really energetic live blog thread going, where all of you were submitting questions. Sorry, guys. Apparently, the whole thing was just a sales pitch. T. Boone hightailed it out of there before anyone could even raise their hand. I’ll post some excerpts below, but really, go to the original, where you can also read the comments, which are just as illuminating. In 2004, you helped pay for the Swift Boat ads, along with fellow billionaire Harold Simmons, who’s funding the Ayres attack ads this cycle. If you’re willing to tolerate, and even encourage, that level of dishonesty in political discourse, why should we trust you on any subject? Senator James Inhofe of Oklahoma is well known for saying that global warming is the “greatest hoax ever perpetrated on the American people,” and is one of the most outspoken climate change science deniers around, as well as being joined at the hip with the oil companies. In your presentation today, you specifically said that you “believe global warming is real”. However, you have heavily funded James Inhofe’s campaign. How do you reconcile your support for Inhofe with your promotion of renewable energy programs? Can you please explain why people should take your plan seriously when, for example, you do not include any energy efficiency measures within it? For a real and honest debate on the topic of energy policy, see the liveblogging thread. Update [2008-8-27 15:7:47 by Devilstower]: And T. Boone heads for the door without taking a single question. Which makes the whole presentation worth about as much as day old spit. This comment on the Daily Kos thread explains the real motivation behind Pickens’ Plan — and it ain’t altruism, folks. I’m involved in this industry. His play is rather transparent. He is cornering the retail CNG (compressed natural Gas) and LNG (Liquefied Natural Gas) fueling stations through his entity Clean Energy Fuels Corp. He’s pretty much already accomplished this in Texas by purchasing all of the CNG/LNG stations there form the state utility company. He is also working to do it in Oklahoma and California right now. These three states plus Utah are the big prize because they have the fueling station infrastructure already in place. This is how he hopes to make it big. It’s extremely simple. The fueling stations are supplied by CNG that gets the fuel wholesale for about $.50/gallon. In fact, if you go to a CNG station now in Oklahoma, you can get CNG for something just above that, or about $.85/gallon. Boone wants to get into these stations and raise the price to the public to about $2.50/gallon and he wants to do this prior to the everybody converting to CNG – That way no public outcry b/c no one realizes that he has increased prices and public thinks they are getting great deal b/c CNG still a lot cheaper than gas. Of course this only works if people convert to CNG. That’s why Pickens is spending tens of millions of dollars(personally and through his subsidiary Clean Energy Finance) to promote and incentivize the conversions. If all this works (the conversions happen and he corners the retail CNG market in just the 4 states mentioned above), Pickens would quickly become the wealthiest person in the world and would be profiting hundreds of billions of dollars per year. The Democratic Party of Oklahoma has called for Senator Jim Inhofe to return “tainted” money he received from Sen. Ted Stevens, who was indicted today corruption charges. The Oklahoma politician is running for re-election this year, and got $10,000 from Stevens political PAC for his campaign. Senator Elizabeth Dole donated her money from Stevens to charity earlier today. A similar call has been made to Oregon Senator Gordon Smith. OKLAHOMA CITY (July 29, 2008) Oklahoma’s U.S. Senator Jim Inhofe should return $12,000 in campaign contributions that he has received from indicted fellow U.S. Senator Ted Stevens, R-Alaska, Oklahoma Democratic Party Chairman Dr. Ivan Holmes said today. Sen. Stevens was charged today with seven counts of making false statements, according to a 28-page federal grand jury indictment, regarding payments of more than $250,000 in goods and services he allegedly received from an oil company. The items include home improvements, autos and household items. “This is a classic example of why Americans have lost faith in Washington,” Holmes said. “Senator Stevens has been very generous to his good friend Jim Inhofe, whom we know is also close to big oil companies. Now we know that the money may be tainted and I believe our Senator needs to come clean,” Holmes said. “Even though Senator Stevens’ legal problems have been known for more than a year, Senator Inhofe still agreed to take his contributions,” Holmes said. “If he wants Oklahomans to believe he is not part of the problem in Washington, Inhofe should return the contributions he received from his indicted friend,” Holmes added. According to the indictments Stevens knowingly and intentionally sought to conceal and cover up his receipt of things of value by filing financial disclosure forms that contained false statements and omissions concerning Stevens’ receipt of these things of value. “Oklahomans are tired of the cozy relationship between Senators and lobbyists in Washington and the Stevens case is “the last straw,” Holmes said. David Boren’s recent endorsement of Democratic presidential contender Barack Obama is an oasis of hope for the state when compared to Oklahoma’s growing national reputation as a right-wing, intolerant haven for gay bashers and immigrant haters. In other words, the country’s political systems are broken. Oklahoma academics, using Boren as an example, should get involved in this presidential election as citizens “at this critical moment” in history no matter whom they support and that includes the Republican presumptive nominee John McCain. There needs to be real debate and dialogue among Americans about the country’s direction. Now more than ever, academics are crucial in starting and maintaining this debate. A real debate will not be fostered by mainstream media outlets, which are stuck in tabloid-like rhetorical frames, a lazy, laughable “gotcha” flag pin reporting that has very little meaning in today’s world. The recent ABC “debate” hosted by Charlie Gibson and George Stephanopoulos represented a new low in meaningless, tabloid television. Boren, a former U.S. Senator, told the Tulsa World, “I am not acting on behalf of the University of Oklahoma. This will in no way impact my work at the university.” This is true. But Boren’s endorsement, along with his stature and position in Oklahoma higher education, tells other academics here and elsewhere that the current political situation in this country demands more direct participation in the process from professors and college administrators. Perhaps, some state education leaders will even come to believe now they can abandon the neoconservative experiment, which continues to underfund education here at all levels. 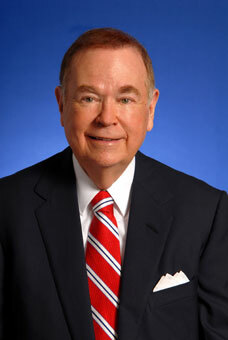 Boren will serve on Obama’s advisory team on foreign policy. Boren was joined in his endorsement with Sam Nunn, a former U.S. Senator from Georgia, who will also serve on Obama’s foreign policy team. Boren once served as leader of the Senate Intelligence Committee. Nunn was head of the Senate Armed Services Committee. Both Boren and Nunn are known as moderate to conservative Democrats. Boren recently hosted a bipartisan summit at OU, which was attended by former New York Mayor Michael Bloomberg, who some in the media have speculated might run as an independent for president this year. Boren’s and Nunn’s decision to support Obama indicates Bloomberg will probably not run. I was highly critical of the bipartisan summit, arguing it was merely a cover for a Bloomberg presidential bid. (One of my posts on the event was even featured in the Blog Report on Salon.com.) I argued that Obama, in fact, seemed more independent-minded than Bloomberg, who is a former Democrat, then Republican, now turned independent. In light of Boren’s endorsement, however, I find myself reconsidering the purpose of the summit. Perhaps, jaded as much as anyone else with the current political milieu, I did not give enough credit to Boren’s stated intentions to help break the gridlock in Washington and the division that has dominated the country under President George Bush’s administration. Oklahoma has taken a lot of hits lately when it comes to its national reputation. First, state Rep. Randy Terrill (R-Moore) authored a bill that created the strictest laws in the nation targeting illegal-immigrants. Many Hispanic people-those here legally and not-have left the state because of the new laws. This has generated terrible publicity for the state. Then, state Rep. Sally Kern (R-Oklahoma City) was caught on tape delivering her now famous anti-gay rant that has made her and the state a scourge. The state continues to have never-ending problems, as publicized study after study shows the nation, in providing decent health care to its citizens. Boren’s endorsement of Obama, covered by media outlets across the country, shows the world Oklahoma is home to some reasoned and rational people who understand, like a majority of Americans, the country now faces a crisis at home and abroad and a major change in the country’s direction is necessary. State Sen. Andrew Rice (D-Oklahoma), who is running for the U.S. Senate against Republican incumbent Jim Inhofe this year, was recently interviewed by Grist, a prominent online magazine dedicated to environmental issues. In the interview, Rice, pictured right, discussed his campaign against Inhofe, who once called global warming a hoax and fights against any federal legislation addressing climate change. Rice also discussed how fighting climate change could benefit the Oklahoma economy. Rice said, “This is a win-win for Oklahoma, particularly around wind energy. We’re really in a position to be able to provide clean, renewable energy [to nearby states]. Rice’s positions on climate change are reasonable and responsible and stand in marked contrast to Inhofe’s over-the-top, anti-environment rhetoric, which has embarrassed the state. Click here to get involved with Rice’s campaign.